[S90] Sharon Pike, family tree titled "The Marden Family from Maine to Wisconsin", published by Ancestry.com, wc.rootsweb.ancestry.com, from database named marden-sharon, updated Jan 2010, viewed Sep 2010. 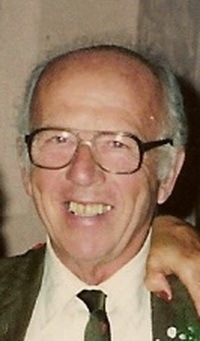 Gene Marden Pike, 90, of Lawrenceburg, Kentucky, died June 19, 2008, at The Highlands Nursing Home in Louisville. He was born July 16, 1917 in Spooner, Wisconsin, the son of the late James William and Ruth Marden Pike. A former resident of Belvidere, IL, he moved to Kentucky in 1951, residing in Louisville, Lexington, Nicholasville and Lawrenceburg. His wife, Marian L. Curtis Pike, died September 6, 2007. They had been married for 68 years. He was the former owner of Pike and Sons Movers, of Lexington. He was the owner of Apple Lane Farm where he bred and raced Standardbred horses for 40 years. He was a member of The United States Trotting Association. He is survived by five sons and daughters-in-law, Jim Pike and his wife, Jackie, of Louisville, Dr. Terry Pike, DVM and his wife, Nancy, of Lawrenceburg, Rev. Kirk Pike and his wife, Virginia, of Cincinnati, OH, Jon Pike of Waddy, and Greg Pike and his wife, Sharon, of Lawrenceburg; Granddaughters, Sally Pike, Kim Pike Brizendine, both of Louisville, Tanya Pike of Findlay, OH, Cindy Pike Bosh of Cincinnati, OH, Tracy Pike Smith and Trisha Pike Mendosa, both of Tampa, FL, Carrie Pike Ferguson of Lawrenceburg, Melissa Pike Compton of Lexington; a grandson, Jamie Pike of Lexington; and nine great-grandchildren. He was predeceased by his wife, his parents and brother, Melvin Pike. A memorial service for Gene and Marian Pike will be held at the Madge Evergreen Cemetery, Washburn Co., Wisconsin on July 27, 2008. Memorial contributions may be made to Hospice of the Bluegrass, 208 Steele St., Frankfort, KY 40601. [S3475] Find A Grave: Madge Evergreen Cemetery, Sarona, Wisconsin, Gene Marden Pike, created by Sharon Sabel Pike, added Jul 2008, memorial number 28365846. [S1436] Dottie Brentlinger, "Kyjeffer-L Abstracts of Jefferson County, Kentucky Obituaries", listserve message to KYJEFFER-L, http://listsearches.rootsweb.ancestry.com/th/read/KYJEFFER/…. 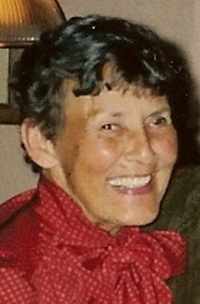 Marian L. Curtis Pike, 87, of Alton, Ky., died on Wednesday, Sept. 8, 2007, at her home. She was born on July 8, 1920, in Washburn County to Ralph and Mabel Halverson Curtis. She was married to Gene Marden Pike for 68 years. A former resident of Belvidere, Ill., she moved to Kentucky in 1951. 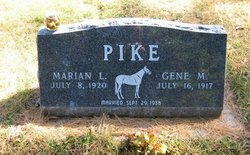 The Pikes owned Apple Lane Farm where they bred and raced Standardbred horses for 40 years.. She was a member of The United States Trotting Association. She is survived by five sons, Jim (Jackie) of Louisville, Ky., Dr. Terry, DVM, (Nancy) of Lawrenceburg, Ky., Rev. Kirk (Virginia) of Cincinnati, Ohio, Jon of Waddy, Ky., and Greg (Sharon) of Lawrenceburg, Ky.; granddaughters, Sally Pike and Kim Pike Brizendine, both of Louisville, Ky., Tanya Pike of Findlay, Ohio, Cindy Pike Bosh of Cincinnati, Ohio, Tracy Pike Smith and Trisha Pike Mendosa, both of Tampa, Fla., Carrie Pike Ferguson of Lawrenceburg, Ky., and Melissa Pike Compton of Lexington, Ky.; a grandson, Jamie Pike, of Lexington; nine great-grandchildren; a brother, Jack Curtis of Trego; and many nieces and nephews. She was predeceased by her parents; her sister, Lil Curtis Pedersen; and brothers, Bill, Howard, Bob, and Ed Curtis. A memorial service will be held at a later date at Madge Cemetery, Washburn County. Memorial contributions can be made to Hospice of the Bluegrass, 208 Steele St., Frankfort, KY 40601. [S3475] Find A Grave: Madge Evergreen Cemetery, Sarona, Wisconsin, Marian L Curtis Pike, created by Bel, added Sep 2007, memorial number 21654089.
a brother, Gene Pike; eight grandchildren; and three great-grandchildren. Funeral: 7 p.m. Wednesday, Fern Creek Funeral Home, 5406 Bardstown Road. [S4801] 1940 US Federal Census, Coquille, Coos County, Oregon, digital image ; National Archives micropublication, Wilbur Davis head of household, roll T627_3358, enumeration district 6-45, page 15A. [S1437] National Cemetery Administration, U. S. Veterans Gravesites, ca 1775-2006, Digitized by Ancestry.com Operations, 2006. (Original publication: www. ancestry.com National Gravesite Locator, Ancestry.com, Provo, Utah) , viewed Sep 2010. [S1438] 1920 US Federal Census, Raber, Hughes County, South Dakota, digital image Ancestry.com ; National Archives micropublication, Clifton A Hanks head of household, roll T625_1720, enumeration district 184, page 3A. [S1439] National Archives and Records Administration, US World War II Army Enlistment Records, 1938-1946, Digitized by Ancestry.com Operations, 2005. (Original publication: www.ancestry.com Electric Army Serial Number Merged File, 1938-1946, ) , viewed Sep 2010. [S5595] California, San Francisco Area Funeral Home Records 1895-1985, online index database, digitized by Ancestry.com Operations Inc, 2010 www.ancestry.com. (Original publication: Microfilm publication, Researchcity, San Francisco, CA). [S90] Sharon Pike, family tree titled "The Marden Family from Maine to Wisconsin", published by Ancestry.com, wc.rootsweb.ancestry.com, from database named marden-sharon, updated Jan 2010, viewed Sep 2010 , 1913 - incorrect. [S90] Sharon Pike, family tree titled "The Marden Family from Maine to Wisconsin", published by Ancestry.com, wc.rootsweb.ancestry.com, from database named marden-sharon, updated Jan 2010, viewed Sep 2010 , place of death - Pacifica CA ?? [S29] Aaron Sargent, Sargent Genealogy in England and America, Somerville, MA: privately published, 1895, p 78-79. [S3222] 1860 US Federal Census, Lynn, Essex County, Massachusetts, digital image Ancestry.com ; National Archives micropublication, Oliver Morrill head of household, ward 5, roll M653_495, page 753 . birth place = MA, but I think this is incorrect. [S1473] 1850 US Federal Census, Newburyport, Essex County, Massachusetts, digital image Ancestry.com ; National Archives micropublication, Horace Sargent head of household, roll M432_313, page 27A. [S3222] 1860 US Federal Census, Lynn, Essex County, Massachusetts, digital image Ancestry.com ; National Archives micropublication, Oliver Morrill head of household, ward 5, roll M653_495, page 753.